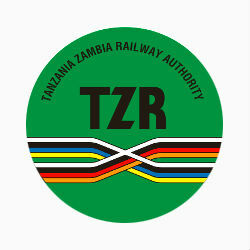 The 61st Tanzania-Zambia Railway Authority (TAZARA) Council of Ministers meeting was recently held in Dar es Salaam where an agreement was reached to inject nearly USD 25 million into the company for renovations. The meeting was attended by ministers for Transport, Finance and Industry from both countries to discuss the diminished performance of the railway, which fallen to less than 300,000 tons of freight per year from its peak of 1.2 million tons per year in the 1980s. According to a statement released following the meeting and signed by the Tanzanian Minister of Transport Harrison Mwakyembe and his Zambian counterpart Yamfwa Mukanga, the current situation requires both immediate action and active attention. Furthermore, both ministers reiterated their commitment to funding TAZARA operations and urged the board and management to seek alternative and sustainable funding to support the railway through engagement with the private sector. TAZARA is a unitary railway and that was established through a partnership with Tanzania, Zambia and China and continues to represent a strong symbol of unity and friendship between the three countries as an example of pan-African and Sino-African cooperation.